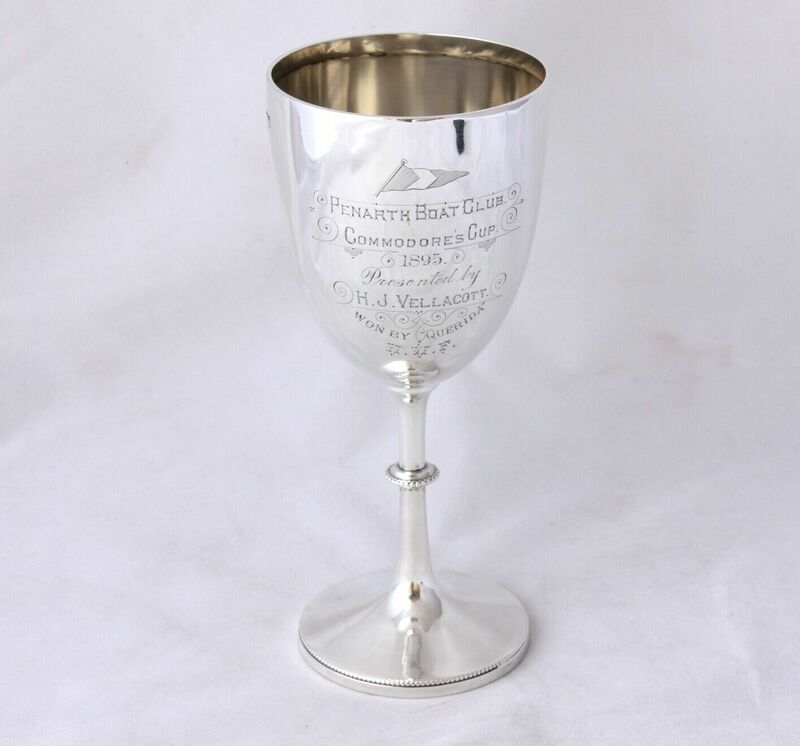 This lovely antique sterling silver yachting trophy cup is fully hallmarked for Sheffield 1894 and has an interesting inscription that reads "Penarth Boat Club. 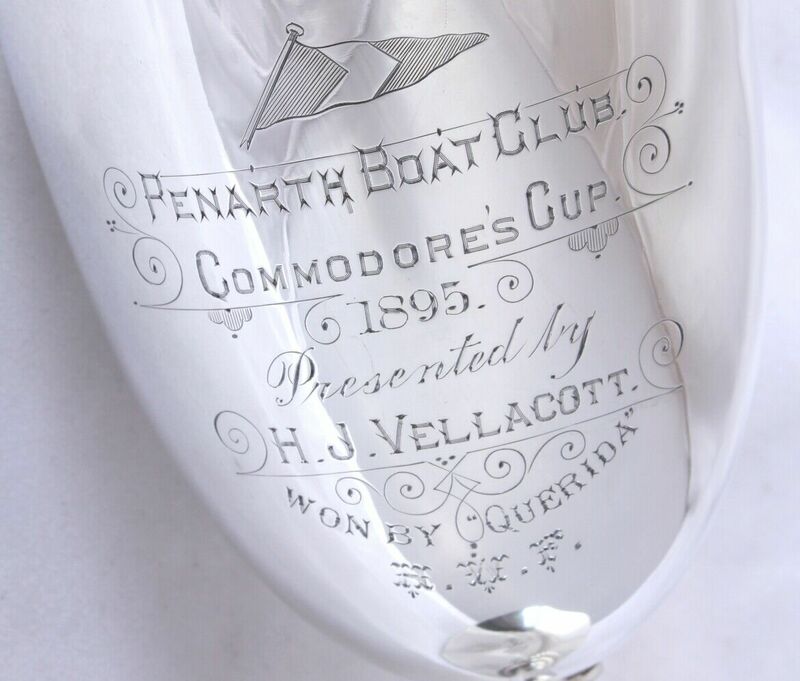 Commodores Cup. 1895. Presented by H.J. Vellacott. 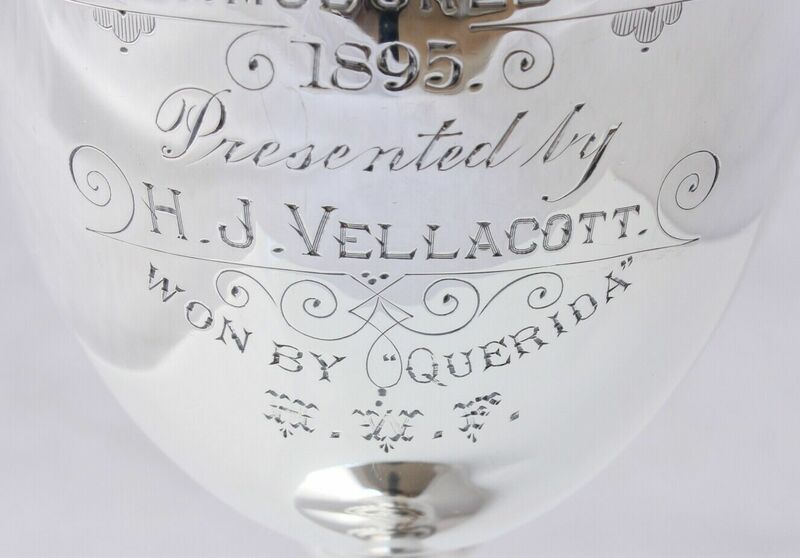 Won by Querida. H.W.F". 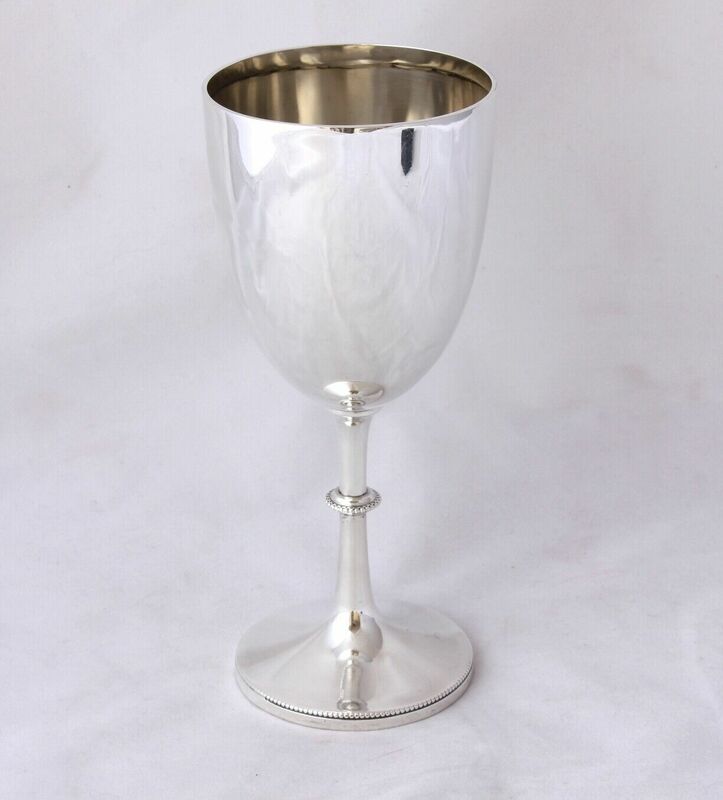 This interesting cup would make a unique collectors piece for a yachting fan and look wonderful on show. Hallmark: Lion for Sterling Silver. Crown for Sheffield. Date letter b for 1894 and maker's mark JD&S for James Deakin & Sons. Height: 18 cm (7") approx. Condition: Good antique condition with signs of use in keeping with age. 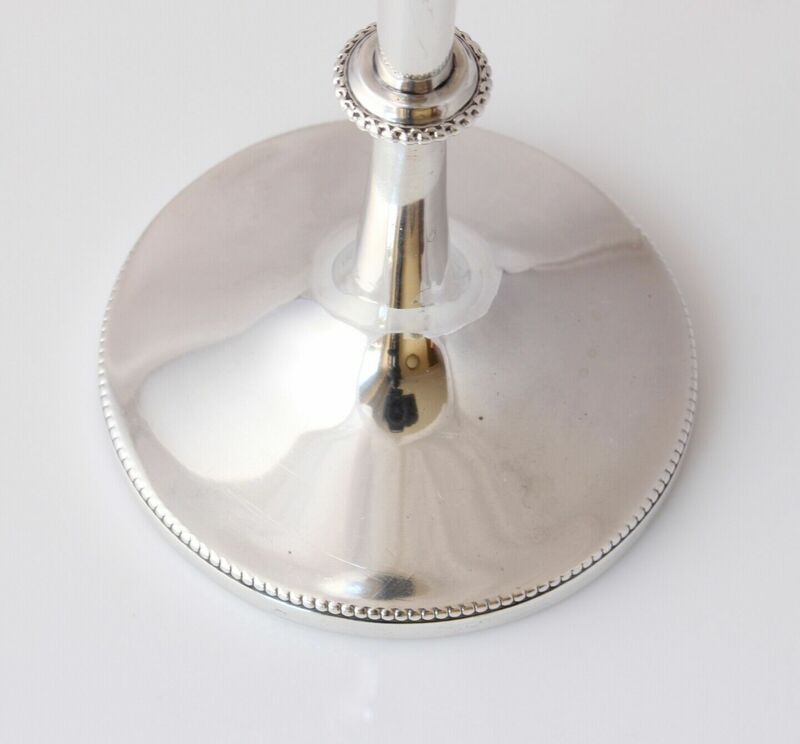 A few light tarnish marks and all over light bruises. 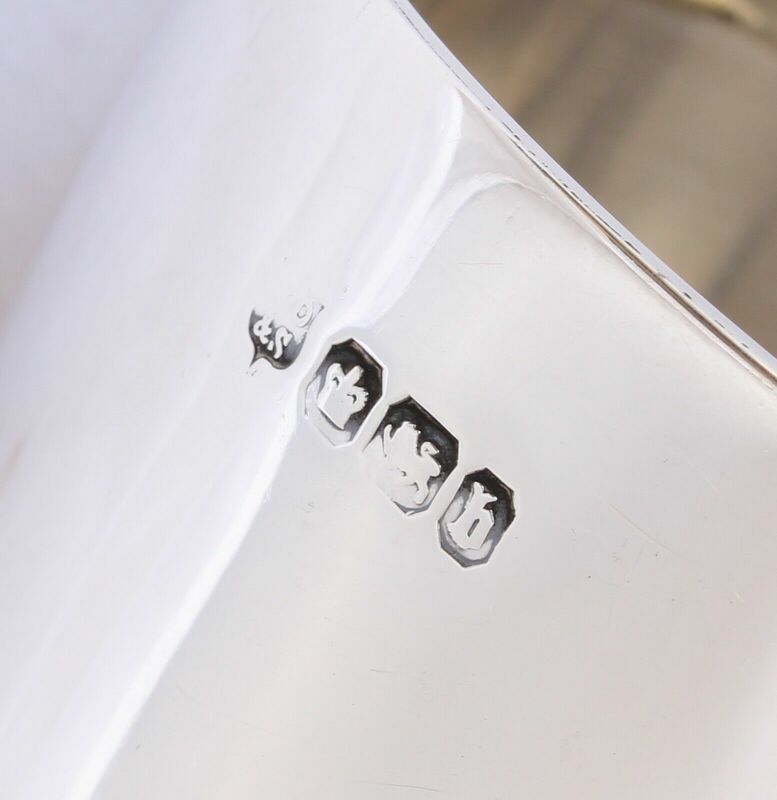 Makers mark is slightly worn but can be read. Please see pictures.